SoulCycle, FlyWheel, and Peloton are just a few of the many cycling studios that have become very familiar to today’s society. Stationary bike riding, informally known as “cycling” or “spinning,” has been an extremely useful and healthy exercise for years. It provides a source of cardio that is extremely necessary in order to obtain a healthy lifestyle. These stationary bikes can be found in gyms or are available for purchase for one’s home. Most recently, studios and places specific to cycling have been popping up all over Long Island, all over the country, and even all over the world. 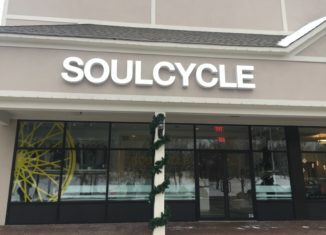 The popularity of cycling studios arose with the opening of SoulCycle, one of which is located close to our school in Woodbury, New York. In 2006, this freely spirited-themed studio began holding classes that not only provided an excellent physical workout, but also allowed for improvement of the mindset of many people. The dark room, blasting music, and motivational coach causes the spinner to focus on themselves and the workout. This factor of getting both a physical and mental “workout” attracted hundreds of thousands of people. With this growing phenomenon of SoulCycle, other cycling facilities began opening up as well. Studios such as FlyWheel, Peloton, and almost all gyms were becoming even more successful because of this growing love for stationary bike riding. This new interest greatly increased the average amount of exercising people all over the world were getting because it provided them with a fun way to obtain their daily cardio fix. In addition to making individuals healthier mentally and physically, these studios are also helping out different communities. In today’s society, a very popular way to help out a cause one is passionate for is to raise money for it. A very popular form of fundraising has been through cycling studios. These studios have been nice enough to donate their studios to certain causes. The way it may work is the respective studio will allot a certain amount of time to the group of people looking to raise money for their cause. FlyWheel is one of the most popular spinning studios that holds these fundraisers. If there is a certain cause or charity a person wants to raise money for, all they have to do is contact FlyWheel about it. This studio will then completely accommodate them by providing them with a 45 minute class, giving 100% of their proceeds to the charity of choice. These fundraisers are providing the opportunity for people to workout and exercise, while also raising money for an important cause. The rise of cycling studios has resulted in a much healthier world. The increasing amount of cycling studios continues to improve the overall health of individuals in society and also helps to raise money for important charities and events in communities all around our world. Why is the NFL Losing Fans?